Slightly larger than a violin and known for producing a warm, round tone, violas are majestic and refined instruments that are a central part of an orchestra or string quartet. Played with a bow and usually constructed from different types of high-quality wood, this type of stringed instrument is widely considered to be one of the most difficult and challenging to play, though once mastered, they can also be one of the most rewarding. The world’s best viola musicians are generally well practiced and disciplined and the likes of Alexander Markov have honed their craft through decades of playing and performing. Though it can be challenging to learn how to use this instrument correctly, with the right tuition and a little dedication, it can also be one of the most rewarding musical experiences a person can enjoy. We have put together this list of the best violas currently available to help you choose which one to get. 1.6 What’s so great about Violas? The construction of Viola’s is largely very similar, however, the materials from which the instruments are made can vary significantly. The higher priced instruments will often be made from high quality, aged wood that is selected from specifically chosen sources. Woods such as spruce and hazel are said to possess a particular resonant quality and sound, whereas cheaper models may use mixed hard and soft woods in order to keep costs down. If you are a beginner, buying an expensive, hand-carved model would be unwise as you may find that this instrument is not for you. Similarly, if the instrument is going to be used by multiple players in a school or other communal setting, a cheaper, more basic model would be more appropriate than an ornate, high-end viola. Professional musicians and experienced players will obviously want to consider some of the more expensive models as the quality of the materials and manufacture of the product can make subtle differences to the overall sound f the viola. Investing in a high quality, well constructed piece can be expensive, however, many of the top end instruments are designed to last generations, rather than years. Who will be using the instrument? Where will the instrument be used? Do you have a preference for certain types of wood or materials? Will the instrument be passed on to family or friends? 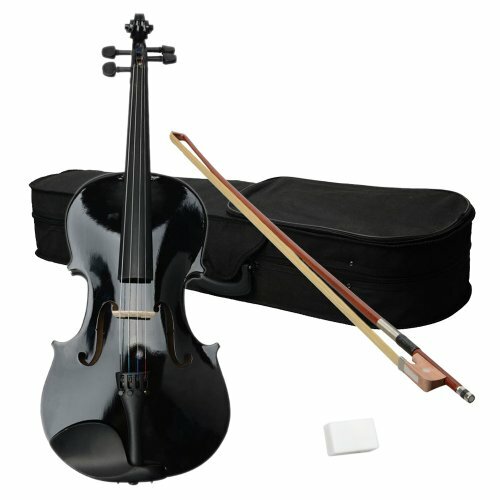 As a starter package, perhaps for a child or beginner player, this is a very competitive option that provides the budding viola enthusiast with everything they need to get started. Constructed from several types of high quality, natural wood, the instrument produces a warm, clear tone that is pleasing to the ear. Though not quite as refined as some of the higher end models, the build quality is good and the even textured material provides easy vibration and well defined sound. The package comes complete with a bow, rosin and case, so there’s no need to buy any additional extras. 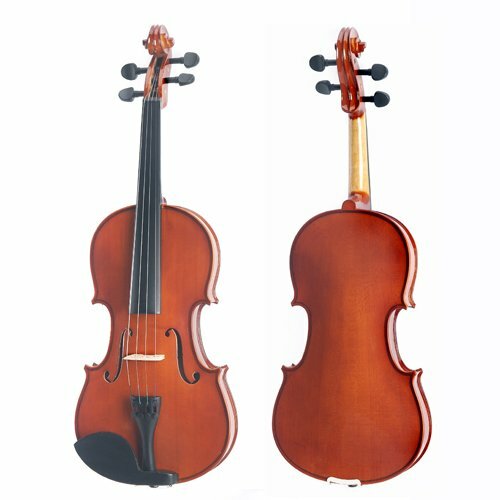 As the cheapest model on our list, the styling and aesthetic of this instrument are not quite as impressive as some of the more advanced models, however, the quality of the wood and the overall finish is very good and this is the best viola for a beginner or student on a budget. Built to minimize cracking and misshaping over time, the construction of this viola makes it a great all rounder in terms of both sound quality and presentation. At this price, this kind of product allows the inquisitive musician to explore the world of the viola without having to make a large investment. This would make a perfect gift for a young player or perhaps a good addition to a school music department and though it is the least expensive on our list, it still provides a good sound and playing experience. Next on the list is the slightly higher priced Mendini MA250, which is considered one of the best violas for those on a budget. Famous for it’s pleasing, warm tone, this type of instrument is very competitive and can be used as part of a full orchestra or as a solo piece. Ideally suited to learners and beginner students, this could be a great option for those who are still learning their craft. The high quality, hand carved, solid spruce body combined with a durable, hardwood back means that for the price, this is a serviceable instrument that performs well in both practices and performances. Available in a variety of colours and including a Mongolian horsehair bow, bridge and rosin, this is one of the best packages for beginners and amateur players. As one of the more affordable options on the market, the Mendini MA250 is arguably one of the best Violas for those on a budget. With a great build quality for the price, the full sized instrument is constructed from top grade natural wood that will last a long time. Cracking and deformation is inevitable over time but the manufacturers say this material has been selected to minimize product deterioration. Constructed from spruce and maple and including a soft satin varnish, this is a stylish and aesthetically pleasing product that features an antique style finish. The package comes with an unbleached horsehair bow, bridge and rosin, providing beginners and amateur musicians with everything need to get started. 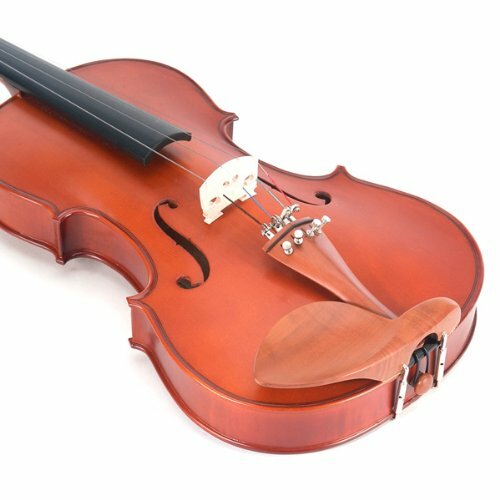 As one of the best Viola’s on the market, the DZ Strad is a favorite among professional musicians and teachers alike. Renowned for it’s warm, round tone and excellent build quality, this hand carved, brazilwood instrument is a joy to play and also looks incredible. The top section is made from Russian spruce which is naturally air dried over a period of five years for a unique and professional quality finish. Though this is one of the more expensive models currently on the market, it is by far one of the best available and is designed to last for generations, rather than years. The manufacturers of this instrument are said to be among some of the best in the business and are well known for creating exceptional instruments for the most discerning of players, including the world-famous Suzuki and many other private teachers. 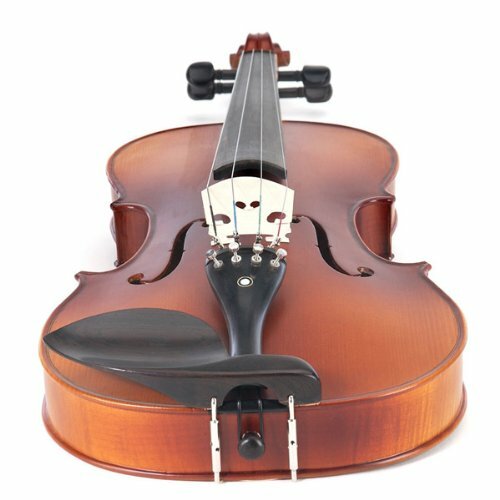 This is definitely not a cheap item, so probably not the best option for those who are just starting out on the viola, but for those who appreciate real class and quality, this is one of the best instruments around. Though not at the very top of the scale, the Cecilio CVA 500 is a very well made and beautifully presented instrument that is highly recommended by a number of music teachers from around the world. With an incredibly attractive satin, antique finish and inlaid purfling for an authentic, aged look this is a great mid-priced option for amateur players who would like to upgrade or professionals who or on a budget. The viola comes with D’addario Prelud strings and a brazilwood bow, strung with genuine, unbleached Mongolian horsehair. It also has an ebony chin rest, fingerboard and pegs that compliment the natural tone of the flamed maple wood back and sides. The rosin cake and bridge are of an excellent quality and this package also includes a chromatic tuner, hard but lightweight case to protect against scratches and dents and there is a one year warranty for added peace of mind. Most players have given this viola great reviews and say that in terms of both aesthetics and playability, it performs extremely well. This would make a great gift for somebody who may have outgrown their first viola and would like something with a little more class and elegance. The slightly cheaper CVA 400 is similar in build quality to it’s more ornate cousin, the CVA 500 and still retains the style and playability that makes this series so popular. Complete with natural colored rosewood chinrest, pegs, tailpiece and fingerboard, though it may not have the ornate qualities of ebony, it still has a beautiful and aesthetically pleasing look. Easy to play and tune, the solid maple back and sides complement the spruce top which has fantastic resonant properties so you can expect a clear, professional sound. Surprisingly, for a model at this level, the CVA 400 features nickel plated tuners, which are usually only found on much more expensive violas. This means the sound and playability can match some higher end models making this a fantastic choice for those with a discerning ear but a smaller budget. Like the CVA 500, this model comes with a good quality hard but lightweight case, quality rosin cake and an extra bridge. The manufacturers also provide an extra set of strings, brazilwood bow and a one year guarantee as standard. In terms of value for money and quality sound, this is one of the best violas available in 2018. What’s so great about Violas? With an array of musical instruments to choose from, the Viola may not be an obvious choice, especially when compared to less complex, digital instruments such as guitars or flutes. The analog style of playing can take time to master but also allows the player to augment their performances with a sense of style and finesse that is exclusive to this beautiful, elegant instrument. As a key part in any orchestra, the viola has a rich, warm sound that is unlike any other stringed instrument. Slightly larger than a violin but smaller than a cello, this elegant and distinctive piece of musical apparatus is played with a horsehair bow and can often take decades to master. 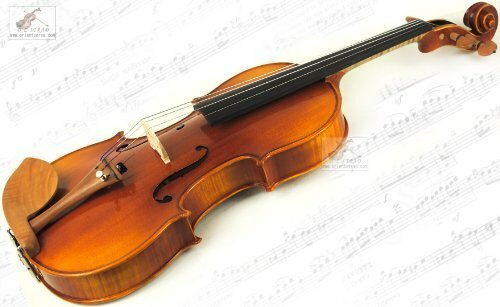 With dedication, practice and perseverance, as well as the aid of a good teacher, almost anybody can learn to play the viola to a proficient standard.